For a good preparation availability of right study material at the right time is very important and for this online & offline mode can be taken into consideration by the students. Many of them prefer to purchase offline & many of them prefer online purchasing. If a student chooses offline mode, he will have to search here & there for the shops and will have to spend convince of traveling. What if they prefer online purchasing? Then we “Amit Book Depot” are here to give our service. We provide best study material for NEET preparation at concessional rates additionally buyers will also get discounts if they choose our online store. We also provide COD (Cash on Delivery Service) for the students’ convenience & satisfaction. Amit Book Depot is the largest seller of the books of all competitive exams. If you choose us for delivery of your books we will give best service of ours. 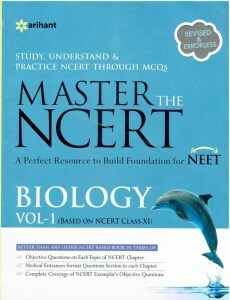 We provide all books regards NEET preparation of all publication whether it is Arihant NEET books, MTG NEET Books or NCERT of 11th & 12th class. If one-time student considers our online bookstore. They will not have to wander anywhere as we provide our services at the students’ convenience. When students compare our prices with other online bookstores, they will always find that our books are very cheap in comparison of them. 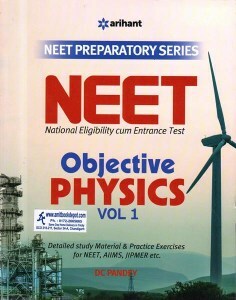 We have a vast collection of NEET books than any other online store. Located at Chandigarh we have a large network of delivery service in different states. We can deliver anywhere in India and if the buyer is not satisfied with online payment here also we give our best in form of COD service whereby they can make payments after the delivery. Product will be delivered within delivery day, no need to worry about delays. Our Aim is to help students in their good preparation so they can crack the prestigious exam of NEET with good grades.